A whacky week in medical marijuana news as contradictions abound. I’d venture that no place in the country has a stranger relationship with marijuana than San Diego. Almost all the City Council members Monday began their comments about the mayor’s proposed medical marijuana regulations by saying HOW MUCH they supported access to the drug for people who need it. Then they went on to basically say it had no place in the community and was a menace. The biggest surprise was Councilwoman Marti Emerald. She said that she now is representing a new district and therefore is going to be much more conservative about her approach to the issue. The Democrat used to represent Tierrasanta, San Carlos, etc. Now she represents mostly City Heights and the tony villages of Kensington and Talmadge. So she arguably went to a more liberal district. Unfortunately for advocates, medical marijuana storefronts are seen as a vice like liquor stores. And community activists in places like City Heights do not need more vice. Except that residents don’t seem so spooked about cannabis. 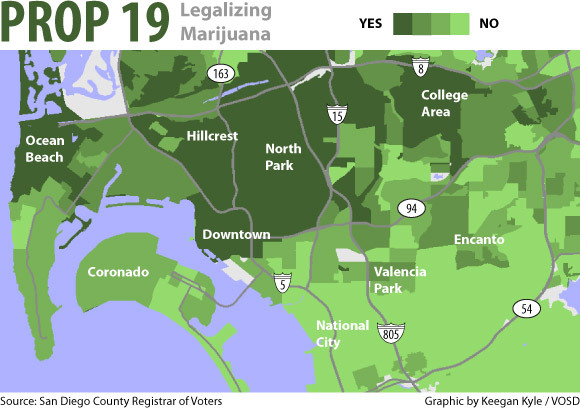 In 2010, (an election in which conservatives did quite well) a majority of voters in most of the city’s central urban neighborhoods supported legalizing marijuana outright — not just to help people with cancer, but for people who just wanted to smoke it. Without Emerald, the mayor’s proposal was clearly DOA. One of the people who spoke in favor of it Monday was this guy, Ken Cole (seen here at an earlier appearance). Image courtesy of the city of San Diego. Cole is about as good of a representative of the sector as possible. He runs the only marijuana collective that tried to stay open, and advertising, even after hundreds of his counterparts shut down. Cole has cancer himself. He said his medical marijuana collective is registered as a not-for-profit. He pays taxes and tries to keep his books in order. But on Tuesday, a day after he made an emotional plea to the council, the DEA raided his place, One on One on Sixth Avenue Downtown. But you’d be wrong. At least, according to the federal government. You see, Cole’s establishment wasn’t having problems with the city. In fact, Cole made a deal with the city. 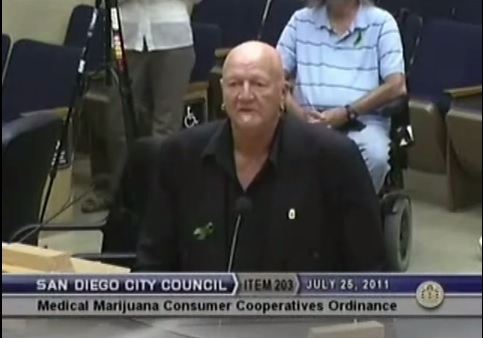 A couple years ago, the city started cracking down on medical marijuana establishments. City Attorney Jan Goldsmith argued that the city had no zoning code that allowed them. Anywhere. And he won. He made the point then, however, that if the mayor — who controls the police and the city’s code enforcement — did not want to send him any more cases, he wouldn’t go out looking for them. Then Mayor Bob Filner got into office and took him up on the deal. The police and code enforcement were told to lay off. That got some of the dispensaries that the city had gone after a bit mad. If dispensaries like Cole’s were suddenly going to be left alone, then they had been treated unfairly. And their lawyers wanted money from the city for all the trouble. Cole said he wouldn’t demand any money and the city agreed to drop its case with him. The feds, and their assistants from the Sheriff’s Department, were not inclined to leave him alone. It was part of a raid on about 10 sites across the county. Marijuana is still an illegal narcotic according to the federal government. What’s odd is that there appears to be some confusion about when medical marijuana is allowed and when it is not. You see, the president has said it’s not a priority. And other places have working medical marijuana facilities. 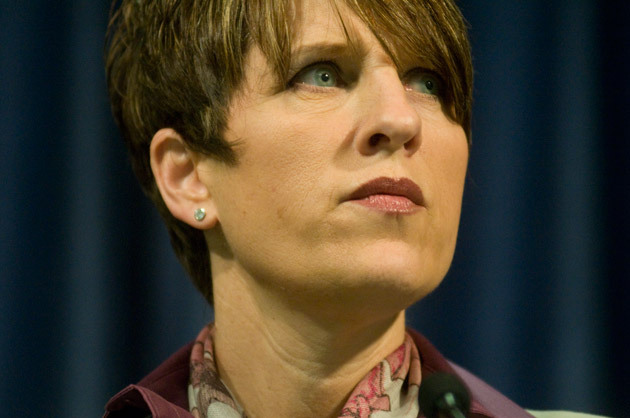 But what those other places are doing doesn’t matter to Laura Duffy, the U.S. attorney for San Diego. These raids and efforts are mostly her call. The DEA’s task force special agent told the U-T that Cole’s place was raided because it was just trying to make a buck. “These clubs are not for compassion but for profit,” he said. Now this thing keeps coming up. This profit argument. Duffy has brought this up before as well. In other words, were they distributing the drug just for compassionate care, it would be OK. BUT IT WOULDN’T BE OK. I saw this strange distinction before and pressed the U.S. attorney on it. Was she saying, somehow, that there was a way to avoid her ire? Somehow prove you weren’t doing it for profit? It would be a mistake to interpret my comments as a softening of our position. I have made it clear many times that under federal law, marijuana is illegal, period. My reference to state law was intended to help explain that profit is one of many factors we consider when exercising our prosecutorial discretion. For what it’s worth, Cole says he’s running a not-for-profit as compliant with state law as he can be. “I’m not trying to make money. To say we’re not a not for profit is ludicrous. We have never hidden anything,” Cole told me. And so goes the marijuana confusion. It’s legal but it’s not. We want to provide access to it, but we don’t. You can give it out compassionately and not for profit but actually you can’t. It will only get weirder. Thank you to Sam Hodgson for the photos of the raid.